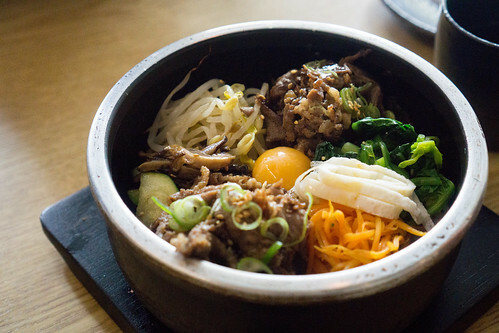 Stone Pot Bibimbap | ohdenny. 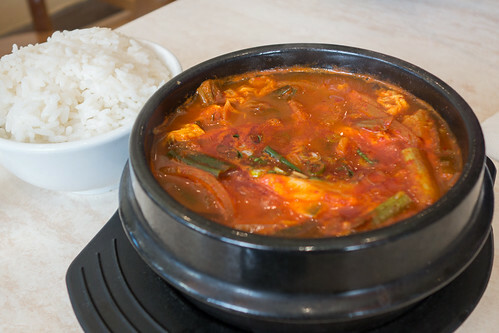 Gangnam Station is one of the few Korean restaurants in Box Hill. 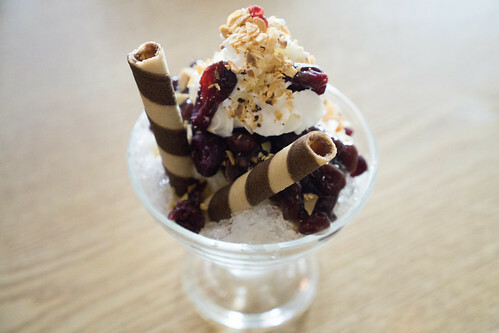 Located on Carrington Street, it’s just across the road from Box Hill Central and from the notorious parking lot. 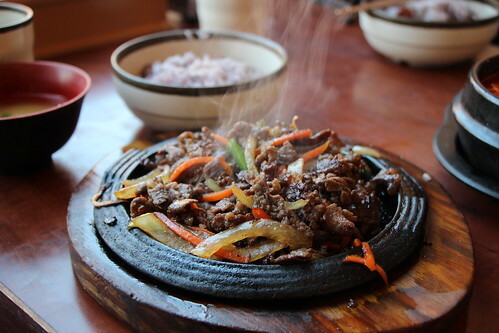 They serve your Korean resaurant staples such as Bibimbap, Bulgogi, Korean Pancakes, and of course KFC (Korean Fried Chicken), however most dishes do lean towards the pricier side of things but I believe they also offer a few special dishes for lunch on weekdays. 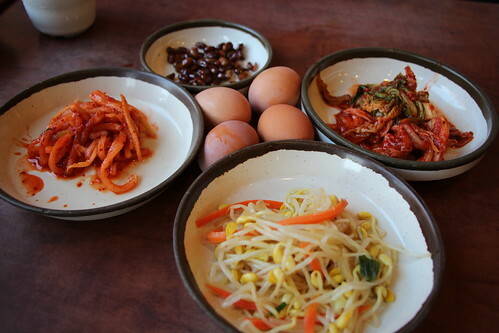 Gangnam’s Stone Bowl Bibimbap, has all the ingredients for a tasty Bibimbap. 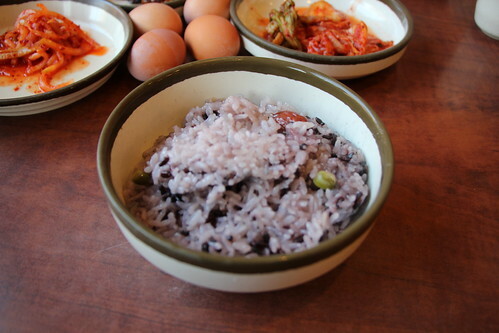 I love the stone pot cooked rice, with it’s crispy and crunchy exterior. Flavourwise, it was severely lacking and the chilli sauce accompaniment was much needed to bring it all together. 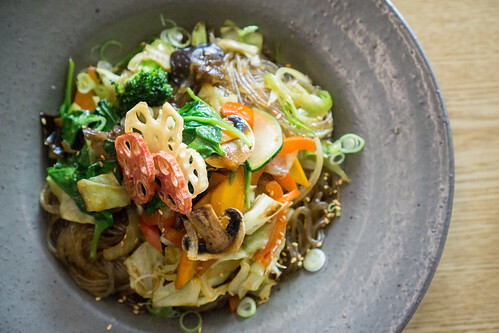 Don-Udon’s Stone Pot Bibimbap is excellent in comparison, with just enough seasoning and flavour. 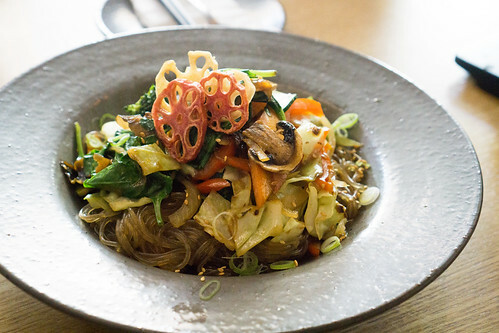 I haven’t found a Korean restaurant that can do a Jap Chae like Don-Udon, or even close. 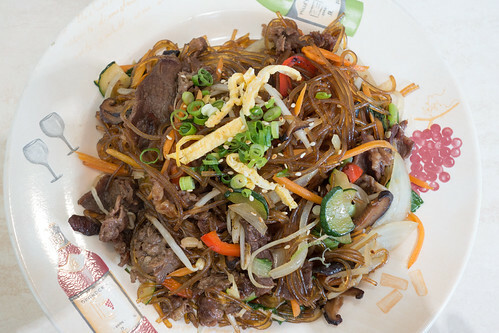 Here it lacks the that certain “wok flavour” that is much needed for the potato noodles, otherwise it tastes just like a simple soy sauce stir fry. This was probably one of the more disappointing versions (the overpriced Guhng is another) I’ve tried. 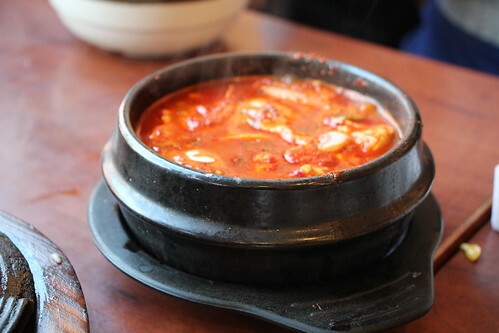 Their Spicy Chicken Broth was probably one of the better soups I’ve had. However, haven’t come across a bad one yet! On a cold winters day, this will be very satisfying. 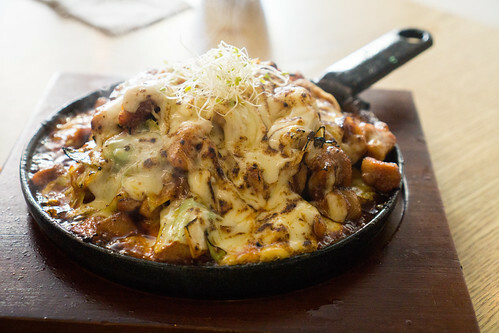 Gangnam Station is probably not one of the best Korean restaurants but I’ve had a few decent meals here apart from their Jap Chae and Bibimbap. 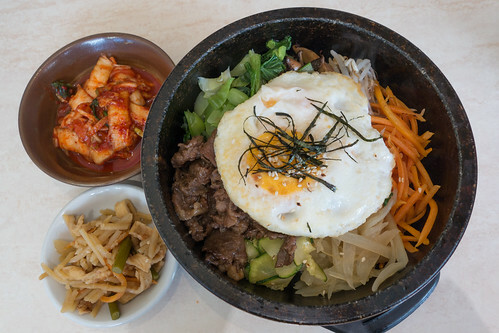 However, there are a few other Korean restaurants in Box Hill that are more bang for the buck and tastier like Don-Udon and Yami Yami.